Lauderdale INFINITI proudly serves Pembroke Pines, FL, as a full-service, new and used automotive dealer. We want to be your first choice when buying a luxury vehicle. As a member of Holman Automotive, we’re part of a family-owned organization that began over 90 years ago – a business that has perfected the art of customer service. We strive to go above and beyond to make your car ownership experience a breeze before, during, and after the sale. Incorporated in 1960, the city of Pembroke Pines has become a thriving suburb of Miami. With a 2010 reported population of 154,750, it ranks second among Broward County’s city populations. The city’s name refers to Sir Edward Reed’s membership in the British Parliament for the County of Pembroke in 1874. Reed purchased farmland in the Dania Beach area, and the road established through his land was named Pembroke Road. Pembroke Pines residents have many indoor and outdoor activities to enjoy. There are music and drama classes at the Fletcher Art and Cultural Center; performances at the Susan B. Katz Theater of the Performing Arts; golf at numerous courses, including the Grand Palms Hotel, Spa, and Golf Resort; and outdoor attractions such as Chapel Trail Nature Preserve and CB Smith Park. 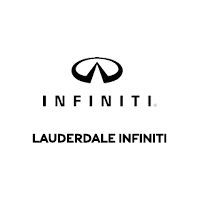 Lauderdale INFINITI is less than 45 minutes from Pembroke Pines. Head east on Pines Boulevard and take Florida’s Turnpike N in Hollywood. Take Exit 54 for FL-84/I-595/US-441 toward Fort Lauderdale. Follow I-595 to Exit 10A toward I-95N/Fort Lauderdale/West Palm Beach. Follow I-95 to Exit 29A toward FL-838 E/W Sunrise Boulevard and turn right. The dealership will be on your right. 900 East Sunrise Boulevard.